Results of the 2013 HIMSS Security Survey show that, despite progress toward hardened security and use of analytics, more work must be done to mitigate insider threat, such as the inappropriate access of data by employees. Although federal initiatives such as OCR audits, meaningful use and the HIPAA Omnibus Rule continue to encourage healthcare organizations to increase the budgets and resources dedicated to securing patient health data, in the previous 12 months, 19 percent of respondents reported a security breach and 12 percent of organizations have had at least one known case of medical identity theft reported by a patient. 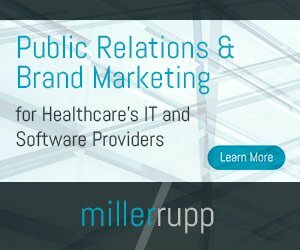 The 2013 HIMSS Security Survey, supported by the Medical Group Management Association and underwritten by Experian Data Breach Resolution, profiles the data security experiences of 283 information technology (IT) and security professionals employed by U.S. hospitals and physician practices. The data from respondents suggests that the greatest perceived “threat motivator” is that of healthcare workers potentially snooping into the electronic health information of friends, neighbors, spouses or co-workers (i.e., inappropriate data access).